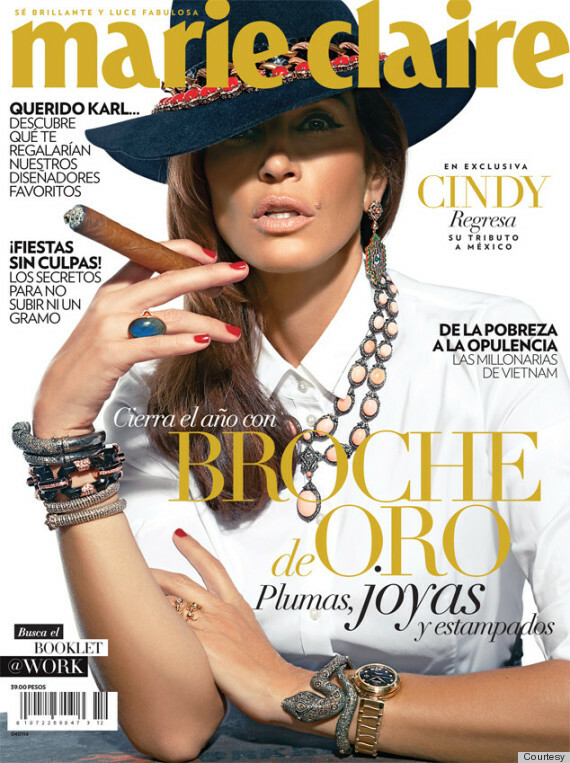 We've seen many original supermodels return to the scene recently: Christy Turlington is snagging fashion campaigns for Calvin Klein and H&M at 44, Christie Brinkley is back in the game with her daughter Sailor, and now Cindy Crawford is on the cover of Marie Claire Mexico's latest issue as the "reina de las pasarelas" (queen of the catwalk). The shoot was lensed by John Russo, and is a tribute to Mexico. Cindy plays the role of María Félix, channeling the iconic Mexican actress with her hat, serpent baubles and a cigar in hand.